*This post is sponsored by Chesapeake Bay Candles but all thoughts and opinions are my own. I recently heard an encouraging and challenging teaching at church about how we often wait until a funeral to really, truly express how we feel about someone. One thing that I love about the holidays is that it opens the door for us to be just a little bit more honest and vulnerable with the people in our lives. Don’t forget to give that extra big hug or tell someone how much you appreciate having them in your life. It’s also a great time to go the extra mile to serve and love on them. Your words and actions may bring a lot of joy and refreshment to their hearts. Sometimes I think we underestimate how many people in our world need just a little bit of hope and joy during the holiday season. “Kind words are like honey, sweet to the soul and healthy for the body.” Proverbs 16:24. Every holiday host goes through a LOT to put the holiday dinner together. When you bring a gift, no matter how big or small, it shows that you appreciate all of the effort that the host puts in. 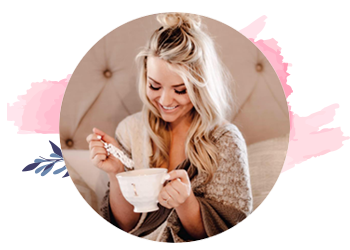 One of my favorite gifts to give are these gorgeous and delicious chocolates from Maggie Louise Confections, a gift card to your favorite restaurant or a candle (like this one!) If you don’t have the time or budget for something like that, some fresh Trader Joe’s flowers or a bottle of wine will be just as appreciated from your host or hostess! 3. Don’t get involved in political conversations. I am all about intellectual conversations between family members. I thrive on them. 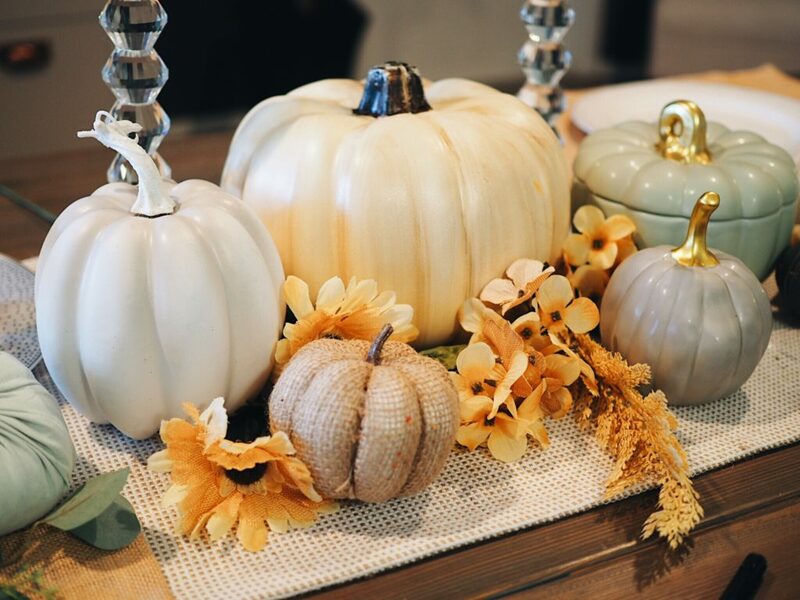 But it’s important to remember that the holiday table is not intended to mimic a political Facebook post. If you know that you have long-standing, differing beliefs between you and your cousin across the table, one argument over a turkey surely isn’t going to shift their perspective. It makes the other people around you uncomfortable and darkens the mood of the holiday. I graciously encourage you to save it for another time! If you’re the one hosting, don’t hold back. Embrace the gifts that God has given you! If you like to DIY everything, do it! If you like to set up a fancy table, go for it! 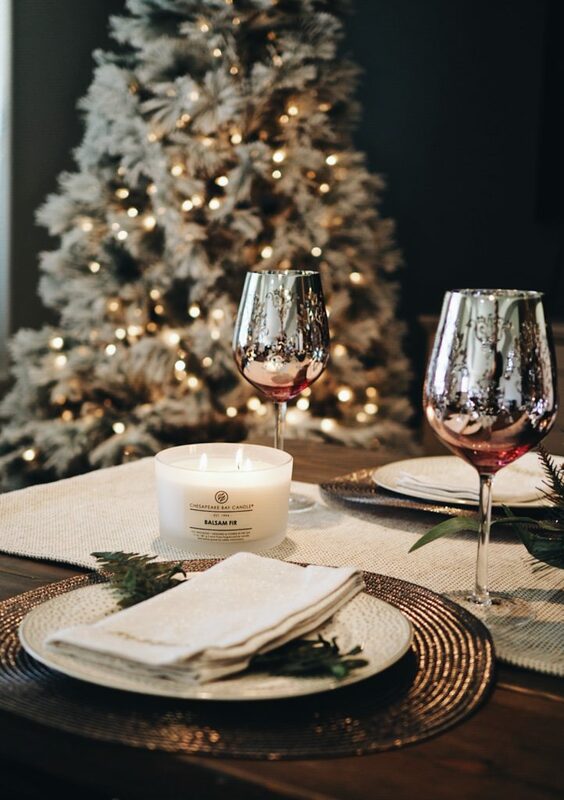 Whether you decide on a low-key, casual holiday or a fancy, black tie event – your guests will appreciate seeing your authenticity and a piece of your personality. I’m definitely a ‘fancy’ kind of person. I have so much fun with it; the colors, the atmosphere and the smells! 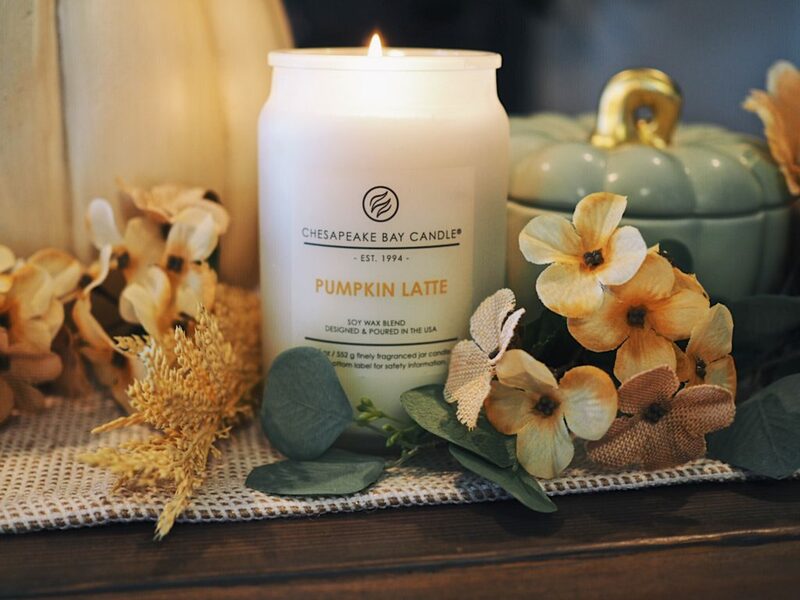 We were recently gifted some candles, courtesy of Chesapeake Bay Candles, and I am in love with them! We have received three total collections and these from The Heritage Collection by Chesapeake Bay are by far my favorite. 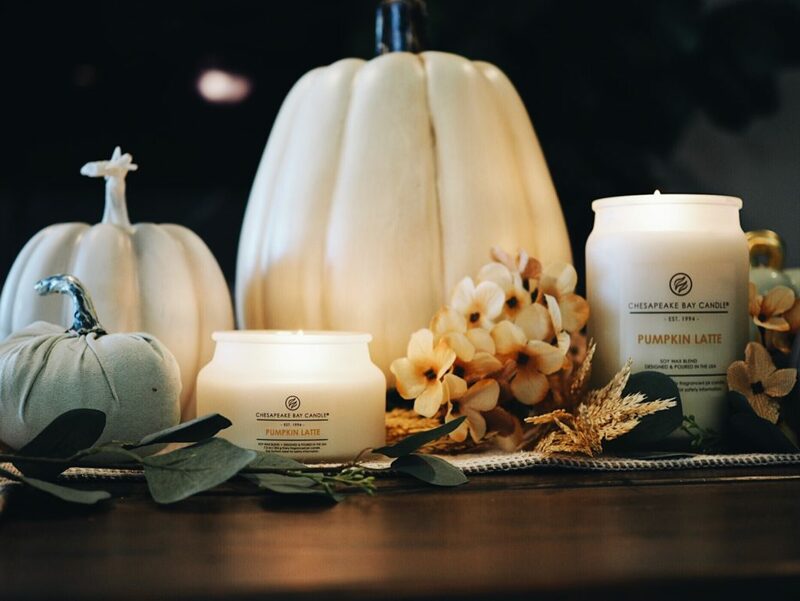 I may be a little biased (because holiday smells have always been at the top of my list), but I shared my love for these candles on my Instagram Stories and meant every word! It’s a tough competition, but my two favorites are the Chestnut & Acorn and the Balsam Fir. 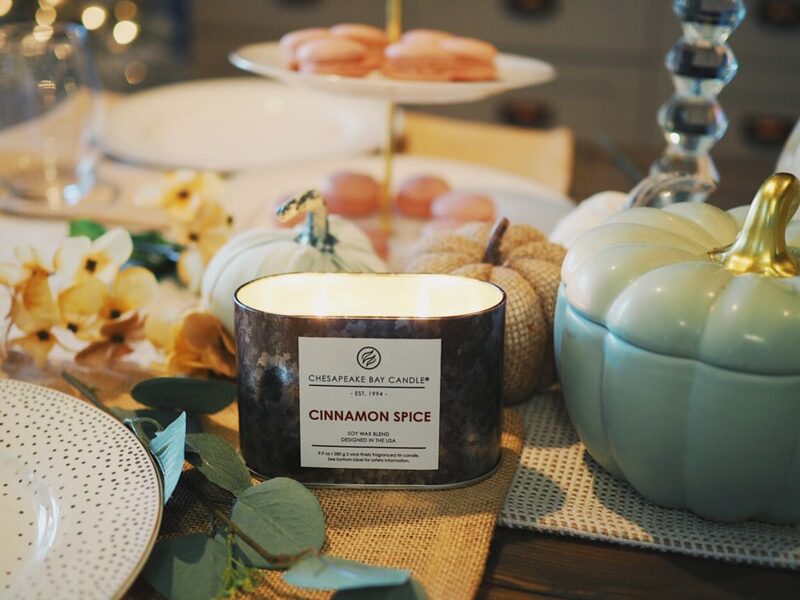 The Chestnut & Acorn smells of rich vanilla, roasted chestnuts, brown sugared pecans, and cinnamon. It is absolutely everything that I love in a candle! 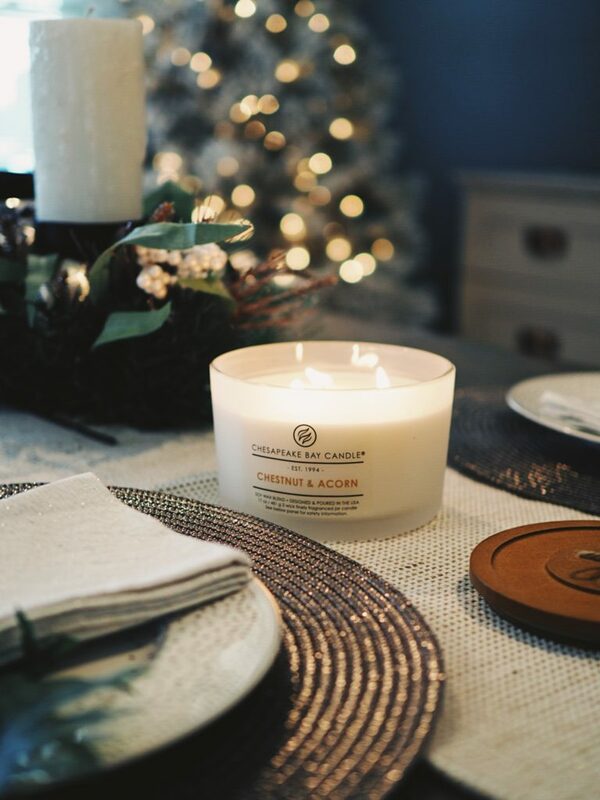 Balsam Fir is a classic Christmas scent with its own unique twist. We burnt ours as we decorated our tree as a family! It smells of evergreen pine, fresh balsam and cedarwood, among many other bold (but not brash) scents. 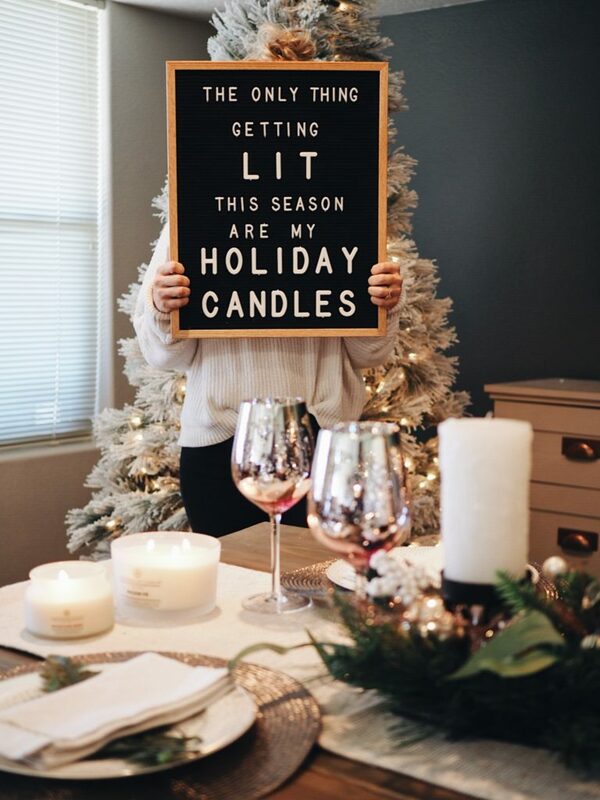 We will be burning these throughout the entire holiday season! 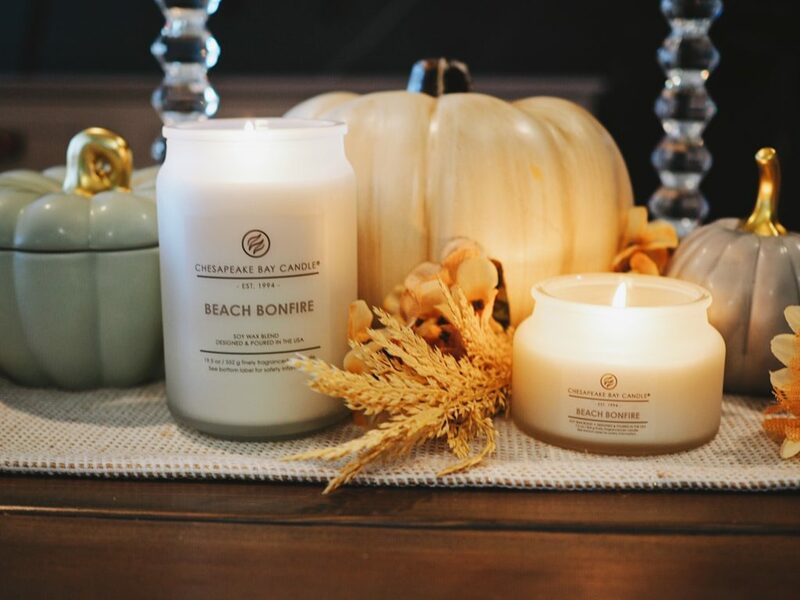 We also really love the Beach Bonfire and Pumpkin Latte scents! I’m also always burning candles, so I love that these last 80 hours. They will definitely make your home extra cozy during the holiday season! Show the love of God not only through your words, but also through your actions. You and your own little family need to enjoy the holidays amidst the hustle and bustle of it all. Keep the stress and chaos at bay and focus on one another. That’s the most important thing of all! This one speaks for itself. Quite a few years ago, I used to go into the holidays thinking that we were all going to have such a blast because a lot of alcohol was involved. But what happened is what always happened – there were a lot of regrets, words said that shouldn’t have been, someone’s feelings were eventually hurt and I was left feeling physically sick and emotionally empty the next day. Remain sober-minded this holiday season and choose to enjoy your family without relying on a crutch to make you someone else or to aid you through the process, even if it’s a hard season for you. “Wine is a mocker, strong drink a rager, and whoever is led astray by it is not wise.” Proverbs 20:1. “For the grace of God has appeared, bringing salvation for all people, training us to renounce ungodliness and worldly passions, and to live self-controlled, upright and godly lives…” Titus 2. I love you guys and I’m thankful for YOU! « We Stopped Going House to House for the Holidays. Here’s Why. Such a great post! Really appreciate the thought that went into this. One of my favourite things to do with my family is voicing out what we are thankful for and its so powerful to keep us bonded together. We have to constantly remind our boys not to talk about politics at holidays, which is hilarious because they are only 9! This is a great reminder! Bringing a gift for the host always gets overlooked but it is so important! It’s so important to arrive with a host/hostess gift when attending a gathering, large or small. I love your reminder to tell those you love how much they mean to you. The holiday season provides a lot of opportunities to be a great friend and show gratitude. I love this post! After reading this post, I feel inspired to take in these tips and just cherish every moment with my family. Often times, people wait until something terrible has happened before expressing how much they love and care for family. Thanks so much for this post! Such a perfect post for this time of year! It’s so easy to get caught up in the hustle & bustle of the holiday season!! 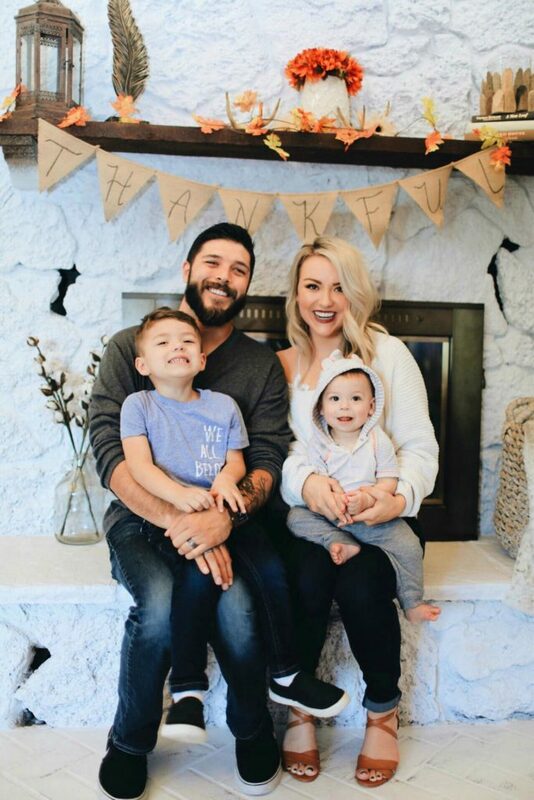 I also love your decor & your family picture is just beautiful!! These 9 Things Not To Do This Year During the Holidays are great. I think so many people get lost in the hustle and bustle that they forget to stop, remember what the holidays are about, give thanks to the world and those close to us, and just enjoy. Thank you for reminding everyone 9 things “Not” to do! I’m in love with this post. They all are so important, although, this holiday would nothing if we didn’t remember the true meaning of this season! These are such great reminders to keep the real meaning of the season in the forefront of our mind! What a beautiful family! Thanks for this post — I love your twist on things 🙂 Always good to remember! Happy Holidays! Such great reminders! I love the idea of focusing on others. I think it will help with managing stress during the holidays for sure. Thanks for this. Such great reminders for the upcoming holidays. I love this – I always forget to slow down and take some time to relax and enjoy it! I could have used this post around the holidays this year! Gah, I totally missed what the holidays were about somehow – I think it was because my husaband and I moved away and didn’t actually spend the holidays with our families, it just got lost in translation and I became totally stressed out. UGH. Still getting over it! I’ll have to bookmark your post and read it around the holidays next year so the same thing doesn’t happen. Also another idea I’m going to try in an effort to make the holiday less about gifting, is doing either a secret Santa or a book exchange to keep things simple and less stressful.